Want extra nutritious? Extra delicious? Add walnuts nuts or pumpkin seeds for an extra health boost. You can use canned black beans for this recipe but remember to drain and rinse them first! We hope you enjoyed this SUPER nutritious, SUPER delicious dish. For more recipes, click here. Cheers to your health! 1) In a bowl, set aside the black beans. 2) Next, chop the mango and yellow capsicum into cubes. Set aside. 3) Mince the garlic. Set aside. 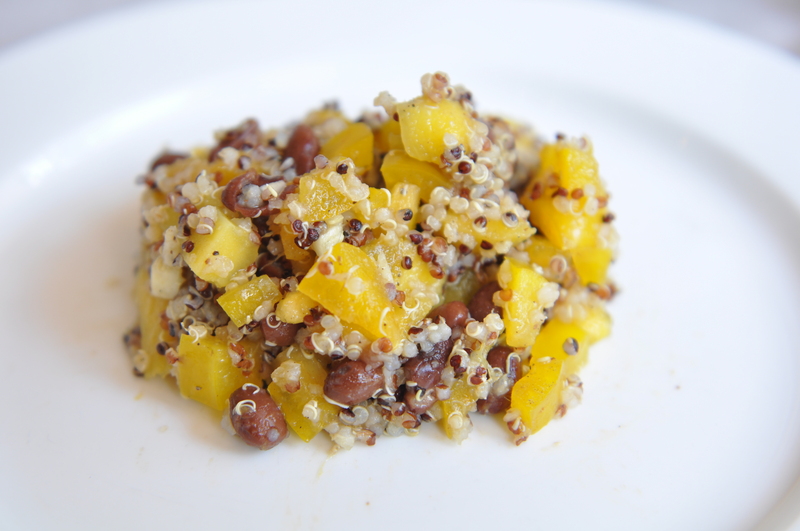 4) Get a big bowl and scoop the cooked and chilled quinoa into it. 5) Next, add the black beans, chopped garlic, mango and capsicums. 6) Next, add the limau juice. Squeeze the limau over a strainer and let the juice run into the salad. 8) Grab a spoon. Serve and enjoy!